When you have hit a point in your marriage that you no longer wish to stay married there are four options in divorce law for you. You can either get a separation, a legal separation, an annulment or a divorce. We have discussed the difference between a legal separation vs. a divorce in Utah already. We outlined the grounds for an annulment in Utah already as well. A separation is when you just separate. There is no legal aspect to it. You just go your separate ways. This is never a good idea because if you do that, you can still be on the hook for debts, liabilities and other issues. It really is advisable to get something legal done if you can’t stay married. You will find that some states have different statues when it comes to separation or divorce law. 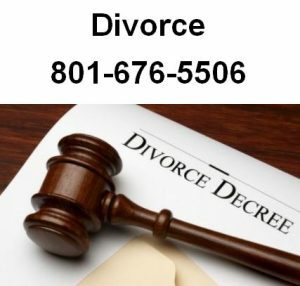 A divorce is a termination of the marriage which can be for cause in Utah. Cause means that the divorce is based on misconduct in the marriage or a statutory cause, rather than for irreconcilable differences (which means that no one is at fault or “no fault divorce”). Once you are divorced, you are considered single again and you can remarry or simply live your life as you see fit. If you only get a separation (whether it is a legal separation or not) – you are not at liberty to remarry. If you are considering getting divorced, we recommend that you can choose a no fault divorce. We think it is better to get the case done and over; rather than drag out the case and charge you more money. It is usually in everyone’s best interest for the case to be done sooner rather than later. Delays in divorce can cause mental anguish and stress which is better to avoid if possible. Before Utah became a no fault state, the judge in a court of law would require some type of proof that a party in the divorce had done something wrong such as adultery, or another act. If you couldn’t prove fault, then the judge would not grant your divorce and you had to stay married. The no fault divorce allows for the divorcing parties to save face. They don’t have to air their dirty laundry in front of others or provide a reason for the divorce. At the end of the day, moving forward and onward is better for everyone. You will also find that in divorce law a divorce decree can be contested. In this case the individuals applying for divorce has issues that the court must work out. Most often a contested divorce involves property or children. In the case of divorce law regarding children the parents must decide on custody. In some instances the mother or father may have restricted rights for seeing their child. There is also the result of alimony. During a divorce the court will take time to observe both parents and find an agreement in a child custody case. For a contested divorce involving property in divorce law there are certain things to consider. If a prenuptial agreement was signed then the divorce will adhere to the agreement unless grounds are stated satisfactorily. In most contested divorces involving property the judge or court of law is going to divide the assets among the two individuals based on the arguments seen. You probably know that about half of all marriages end in divorce. The United States has seen an exponential growth in divorce cases. It may be related to the new divorce law of no fault or other reasons. If you need to find a divorce lawyer you should call Ascent Law first. We have years of experience in family law, divorce cases, annulments and legal separations. In some cases divorce law can be settled without going to court – you simply settle the case among yourselves or you attend mediation. In these cases the divorce is amicable and the papers signed in one of the lawyer’s offices or neutral ground at the mediator’s office. 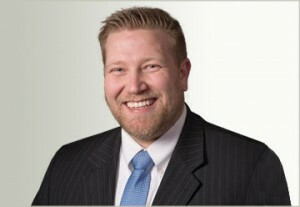 If you have a question about divorce law or if you need to start or defend against a divorce case in Utah call Mike Anderson at (801) 676-5506. Mike loves to help people in family law cases.